Watching videos, social media, browsing, photos – we always have something to do with our phones! If you’re still attached to your outdated device but thinking of letting go anytime soon, this Christmas season may be a perfect time to upgrade your phone. With so many options to choose from, we narrowed down your choices to the best ones that will fit your budget and serve you well – depending on the functionality you need. This season, try these Huawei phones as a gift to yourself! 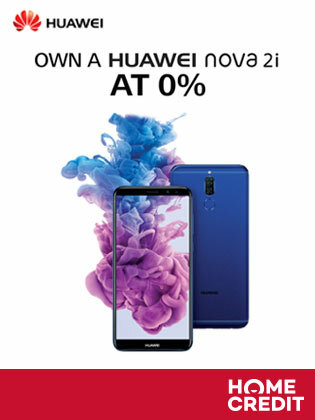 With a 5.9-inch screen and a slim, elegant design, Huawei Nova 2i is easy to carry as you watch your favorite series and other fun videos, or view photos on your device. Its FHD+ resolution screen transforms social media, reading books, playing games, and web browsing. Priced for only Php14,990, the phone’s 4GB RAM with 64GB internal memory can run multiple tasks efficiently. Plus, its quad camera setup (2 front, 2 rear) can effortlessly render and detect the depth-of-field of your photos. This stylish 5.5-inch phone has an octa-core processor that delivers balanced performance with high speed processing power. Huawei GR5’s 13MP camera makes it an essential tool for keeping track of all the colorful moments in your life, and with its special filters that can enhance the tiniest details to keep it realistic, you won’t miss a second in your life. With its low energy consumption, you can efficiently manage tasks and entertain yourself without having to recharge every once in a while. Priced at Php11,990, you can get this perfect companion for your life’s adventures. The Huawei Y7 Prime’s speedy Octa-core CPU and 3GB RAM allows you to run more apps at once so you can enjoy your entertainment needs or keep your tasks running smoothly… or both! Its 32GB that’s expandable up to 128GB gives you the freedom to save all your files on-the-go – all in this 5.5-inch device. 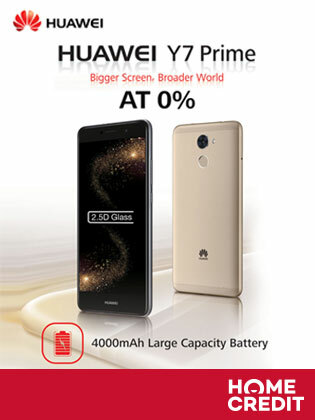 With its all-new fingerprint sensor, the Y7 Prime lets you unlock your phone quickly, offering you a fast, secure, and convenient experience. 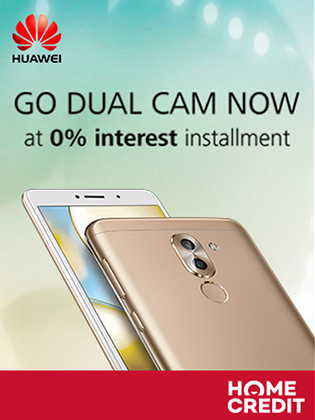 Its 12MP camera comes with a special feature that lets you take quality photos under any lighting condition. The design of Y7 Prime makes it a stylish companion for all your multitasking needs, all for the price of Php9,990. Upgrading your phone may be the last thing on your mind if you have a tight budget, but you’re in luck – they’re all under Php20,000. And Home Credit can make them even more affordable for you: even without a credit card, you can pay for it in 6 or 9 month-installments, at 0% interest. If your phone has served its purpose and is now giving up on you, time to let go! And you need a prize for sticking with it through thick and thin. Reward yourself this Christmas with the upgrade you deserve. It’s easy on your budget, you can even give it as a gift to your family, friend, or that special someone!